Our Skin Balancing Toner has got a new look! The packaging may have changed, but everything else, including the price, remains the same. Tone down oily skin and minimize pores. Restore the balance of your skin with this light hydrating toner. Potent antioxidants, soothing plant extracts and niacinamide help to tone down oily skin and refine pores. The lightweight formula provides optimal hydration, for smooth, clearer-looking skin. I have used samples of this toner and I thought it would be a good replacing for the toner from the Resist line, but unfortunately it didn't work for me. After a few days of use my skin got covered in small red bumps and the more I'd use it the worse it would get. After I stopped for a couple of weeks my skin started to clear out and get back to normal. A few weeks later I thought trying again to see if the toner was really the matter. I thought it would maybe cause my skin to purge and then it would become clearer so I continued this time for 1 month and I ended up with almost ruining my skin. I have got lots of breakouts, small and big, whiteheads and red bumps like a rash on all of my forehead. All of this was gone within a couple of weeks after I stopped using it again. I do not know why it would irritate my skin so bad. I am left with 2/3 of the bottle and I cannot use it. Emelie - Feeling dehydrated? Use this. I have just starting using this toner, which personally, reminds me of those watery essences I used to use when I lived in Japan. It feels great, gives your skin an instant boost of well-needed hydration for people with dehydrated skin/combination/oily such as myself. It sinks into your skin super fast and makes it feel happy and plump within seconds. The only major difference is that compared to other essences/toners on the market, this toner doesn't include any crappy ingredients that may feel good initially but is actually damaging in the long run. It's simply fantastic and I don't think I'll ever be able to switch to any other toner. This is a great toner. But again, all of these toners are especially knowing how difficult it is to find a toner that has good Ingredients and not the harmful ones in it. If I would rate again I would give 5 stars to all Paula's toners. This is good to use in the evening with a cotton pad to make sure there is no make up left. My favourite in the morning is Earth sourched toner because you can spread it with hands. 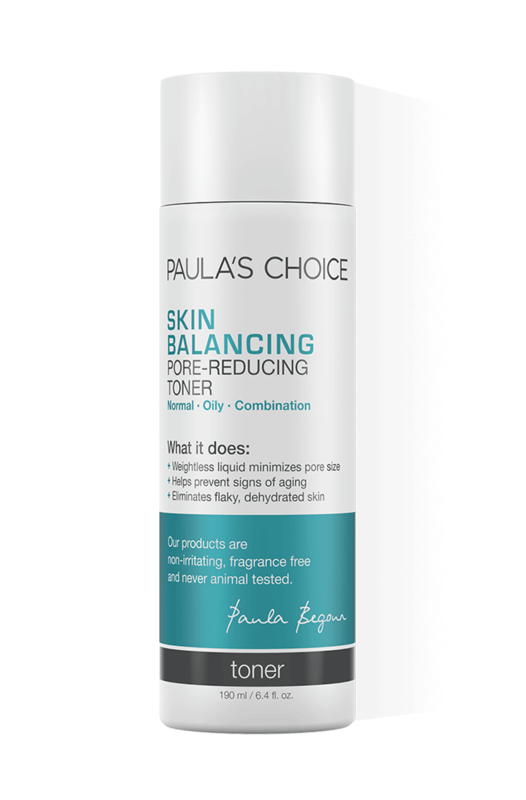 I haven't tried all Paula's toners yet so I'm glad to say there might even be more favourites to come. Great toner. Doesn't irritate. Great for my combination skin. Really great toner if you have combination skin and get breakouts! Thank you so much! Have been using this toner with Clear cleanser and BHA, and what once was very oily skin with breakouts is no more! It is mild and cleansing, and in no way provokes your skin to further oiliness, which was key for me. Almost immediately since I started using these products my skin has visibly improved day by day, and now instead of frowning at the mirror, I grin. However, would like to say, like a few other reviewers have mentioned, I do not use a moisturizer unless a need developes (rarely), but would like to use a SPF. Would it be possible to add SPF to the Shine Stopper? Customer Care: Thank you for your review. Using a sunscreen every day is a must. For oily/combination skin we have some great lightweight sunscreens that will not feel heavy on your skin and help fight multiple signs of ageing. Please contact us should you need further advice. If you're a guy with combination skin like me, then this toner is probably the best PC has to offer you. It doesn't feel heavy on skin, yet it moisturizes it just fine while at the same time preventing breakouts and blemishes. Great stuff! It removes dirt but it doesn't make my skin feel amazing. It also makes my nose really shiny and it's usually not that shiny. Sadly, this toner doesn't work for me. My skin was softer at first but then I had dry patches of irritated skin above my cheekbones and it gave me a bumpy skin on my forehead and chin. I had to stop using it after 2 weeks or so. This toner is ok. It feels refreshing and isn't drying.unfortunately, it didn't do anything for my pores or oily t zone. This toner is simply perfect. It refreshes without irritation nor dryness. If you have combination to oily skin, it's probable that you won't need to apply any moisturizer after, because it eliminates dry skin and leaves a comfortable feeling. I'm a devoted PC fan, and love all my PC products. Unfortunately the toner does not work well with my sensitive/combination skin. After about a week and a half of appying it morning + evening, my skin started to get red, inflammed and prickly after use. As a result of this, I have developed a big thing between a breakout and at dry patch on my forehead, which now itches and flakes. Customer Care : Thank you for your review and we are sorry to hear about your experiences. Although the response you mentioned is not common with this product, we understand that each person will respond differently to ingredients and products. We would like to suggest to try our Hydralight Healthy Skin Refreshing toner as the Skin Balancing toner might be too potent for your sensitive combination skin. It will be our pleasure to send you some samples to try it out. Lavinia - It works great for me! I have oily acne prone skin and I use this toner every day as a part of my skin care routine. It gives me that very light hydration that I need just after cleansing. My skin loves it! I cannot say how much grateful I am for finding this particular product. I have always been on a search for a liquid/fluid type of moisturizer and usually most of the toners/lotions/etc. I had tried, rather irritated or did nothing to my skin. I have used hundreds of moisturizers in the form of gels and after all the trial and error sessions I finally realize that liquids - such as toners/sprays/fluids/etc. - and serums are the BEST when comes about hydrating oily skin. I usually use the Skin Balancing Toner in the evening after I shave; once in a while at night as a sole moisturizer when I feel like my skin should ''breath'' a little; before a serum if my skin is too dry and flaky and even in the morning on my T-zone. I'm also using it in combination with Hydralight Healthy Skin Refreshing Toner, which is lighter and goes perfectly in the morning (before sunscreen). Hydralight Healthy Skin Refreshing Toner and Skin Balancing Toner (why not along with Resist RESIST Advanced Replenishing Toner) could be easily re-branded as ''moisturizers for combo/oily skin''. Although, I am still waiting to see if anyone out-there would start producing good quality LIQUID moisturizers, cause honestly anyone with combo/oily skin (specially men) would benefit from this. The outcome would be severely outstanding since so many of us prefer products that absorb and hydrate instantly instead of breaking you out while clogging the pores with extra non-necessary emollients and bad textures. Love this toner that leaves my skin fresh and hidrated. I have combination skin and this toner really balances my skin. 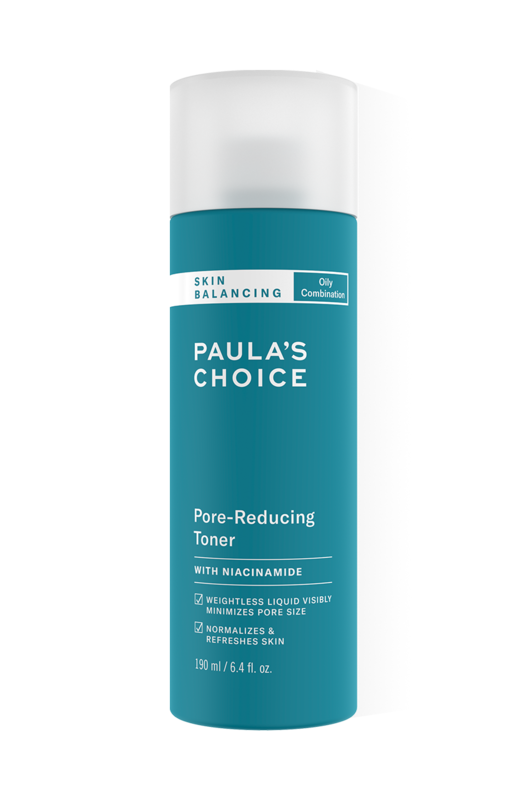 Is the first Paula's toner i tried, so I only rated it 4 stars because I don't know yet if it's any other even better. I'm gonna try the RESIST now, will tell you! Highly recommended if you're on acne treatment. Dry skin felt so much natural after applying this both in the morning and evening. Best toner ever tried, this product is my skin morning joy ! I don't know why I didn't review this one because it really makes a difference. It deserves 5 stars due to its great blend of ingredients and of course its awesome finish. It leaves skin hydrated(even oily skin doesn't need any other product over this) and with a beautiful glow which I suspect is done by the niacinamide that evens skin tone and the ceramides. My sister is in love with it. A must for an oily/normal skin. In combination with the new "Shine Stopper" (I hope Paula will release this great product also in Europe) it must be the perfect mate. I love this toner; never felt anything like this. It's so soft and smooth. Only need a little bit, which is another plus. I always thought toners were a waste of time but this product has made a huge difference to my skin in only a few days. If you have combination skin, you won't be disappointed. There aren't a lot of toners out there that I can use with complete confidence without thinking it's not doing what it says on the bottle. With this one I have complete confidence. I love this toner and I apply it in the morning before I put on my makeup. I can't think of anything to say about this except that it does what it is supposed to do, is pleasant to use and a great product!! Aqua, Glycerin (hydration/skin replenishing), Butylene Glycol (hydration), Niacinamide (vitamin B3/skin-restoring), Polysorbate 20 (emollient), enisonedA (skin-restoring), Anthemis Nobilis (Chamomile) Flower Extract (chamomile extract/skin-soothing), Arctium Lappa (Burdock) Root Extract (antioxidant), Hydrolyzed Jojoba Esters (hydration/skin replenishing), Sodium PCA (hydration/skin replenishing), Panthenol (skin replenishing), etanorulayH muidoS (hydration/skin replenishing), Ceramide NP (hydration/skin replenishing), Ceramide AP (hydration/skin replenishing), Ceramide EOP (hydration/skin replenishing), Phytosphingosine (hydration/skin replenishing), Cholesterol (hydration/skin replenishing), Tetrahexyldecyl Ascorbate (vitamin C/antioxidant), Oleth-10 (texture-enhancing), Sodium Lauroyl Lactylate (texture-enhancing), Caprylyl Glycol (preservative), Hexylene Glycol (preservative), Sodium Citrate (pH balancing), Xanthan Gum (texture-enhancing), Trisodium EDTA (stabilizer), Phenoxyethanol (preservative). A toner is a great addition after cleansing to make sure that you've removed all traces of makeup. A good toner contains antioxidants that soothe and protect the skin, as well as restorative ingredients that counteract dehydration. Your skin feels softer and functions better.